Steve Forman has one of the sexier jobs in the beer industry. 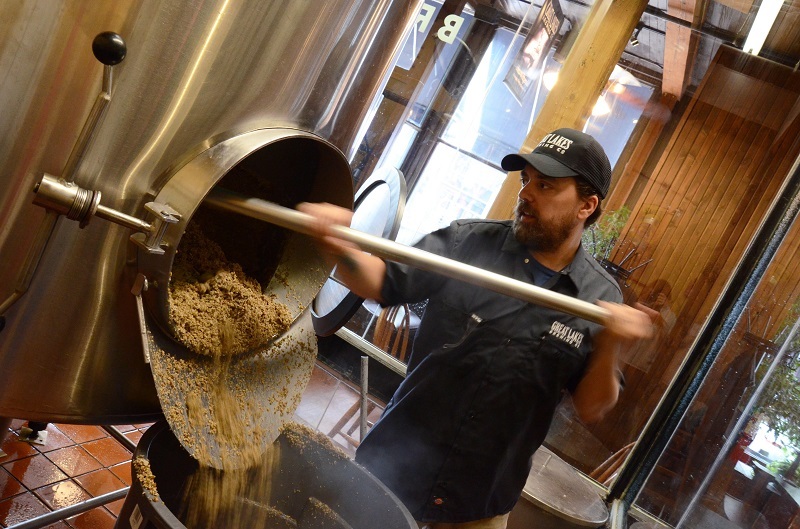 As “pub brewer” for Great Lakes Brewing Company, he’s the guy who brews all of the small batch, one-off and specialty pub exclusives for the Cleveland, Ohio-based brewery. After close to nine years on the production side at Great Lakes, Forman moved into his role working with the brewery’s original 7-barrel system about a year and a half ago. In that time, he’s brewed 100 different beers and developed at least 15 new recipes. He says he hardly ever brews the same beer twice. As craft breweries have expanded and increased distribution of their flagship beers, many of them have kept smaller systems to produce creative small batches for their taprooms and special events. In some cases, breweries have added pilot systems to keep up with those beer lovers who never tire of trying new styles and flavors. Typically, four to five taps out of the 12 available are exclusive to the Great Lakes taproom. The other taps offer year-round brews and seasonals. Some of the beers Forman makes are part of research and development for the production side, and three of his recent pub exclusives will be packaged and distributed this year. He’s the brains behind Turntable Pils spring seasonal, which is still available and getting rave reviews. While Forman tries to schedule out the beers he wants to brew for the year, he leaves open space for R&D to experiment with new grains or hops. For example, the brewery recently got a shipment of four new varieties of hops, and Forman, as pub brewer, gets first dibs on them. Inspiration for a new beer, from recipe to production to tap, can come in unique ways. 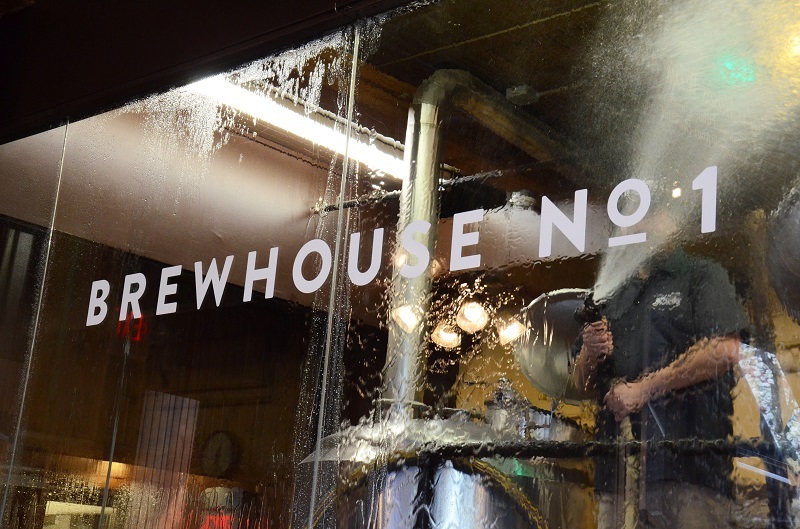 One beer sprang from some of the brewery staff cracking jokes with one of the lab guys, George Sanchez, about the flowery-smelling lotion he likes to use on his hands. Forman told him that, one day, he was going to make a flowery Mexican Lager in his honor. A couple years later, Forman got the chance and came up with a recipe for a beer called Grandes Lagos, a Mexican Lager with hibiscus. That beer has been so popular with customers that it has been released on draft in Great Lakes’ distribution markets. Another recent beer was inspired by a song Forman and his wife overheard called “Steady Rollin’™.” Forman’s wife said it would be a great name for a beer. Forman agreed, and the next morning as soon as he got to work he ran to the marketing office and asked them to trademark the name. His first 7-barrel batch of Steady Rollin’™ Session IPA, a single-hop ale with Mosaic hops, sold out from the pub in only four days. Now it’s available in bottles and on draft as Great Lakes’ summer seasonal. Forman also has developed a small barrel-aging program in the basement of the 19th century building that houses the brewery and pub. Firkins and infusions are another product Forman loves to experiment with for the brewpub and occasionally for special events, such as beer weeks. Beer lovers clamor for Great Lakes’ fruity infusions, including mango and papaya, pineapple and jalapeño, blood orange, and dragon fruit and cactus pear. 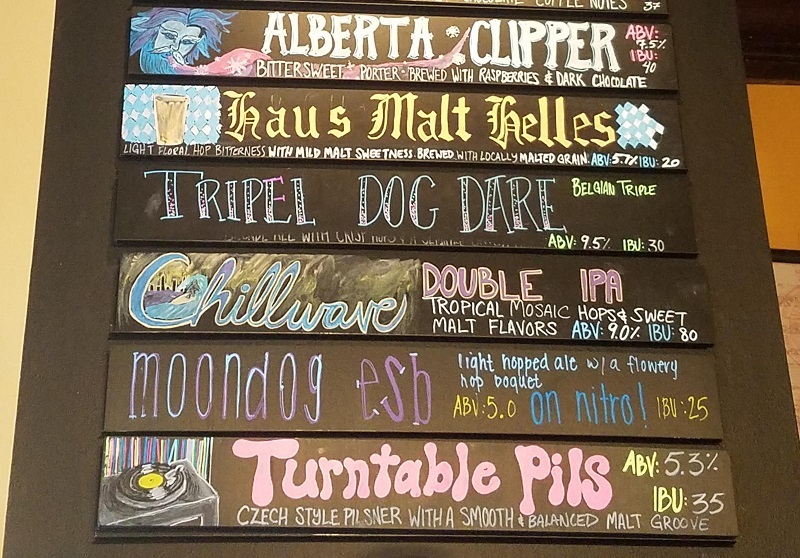 As more and more breweries come on the scene, it’s important that established breweries continue to evolve by offering new, innovative, and most of all, tasty, beers. Great article! Can’t wait to get down to Great Lakes Brewery for some on Forman’s amazing sounding concoctions! Nothing beats Great Lakes! That guy brewing grabs butts all the time, from the tray, from the bus stop, and at night clubs. I’m coming to GLBC from Fort Wayne, IN on June 18th and bringing 19 people with me! We’re looking forward to some new beers! Which is not to say that we don’t love every one of the old ones!!! Hope to visit in June when we are there for Sully Sullivan’s wedding.